Do you have an event or workshop you’d like to share? RWA Members, email your event news to cruisin(at)romanceaustralia.com. At the Adelaide Writers Week I will be chairing a session with Kimberley Freeman, talking about her work. It’s at 10.45 am on Saturday, March 1 . Are holding an event in March with three romance writers, Paula Roe, Amy Andrews and Ainslie Paton. Full details are located here. The event is being held in conjunction with Harlequin M&B and Escape Publishing and they are hoping to get a great audience so they can do more romance events in the future. Anna will be giving a talk at the Mundijong Library at 6.30pm on Thursday March 27. 4 days. 30+ workshops. Over 300 writers, editors, agents and publishing industry professionals. One epic conference. Join us in Sydney with guest speakers; thriller writer and writing craft author, James Scott Bell, along with award-winning, best-selling romantic adventure author, Cherry Adair. Keep an eye out for updates on the blog and website for more information. Submissions close December 1, 2013 – so polish those proposals and send them on through, your conference team eagerly awaits! Tima Maria Lacoba is celebrating the release of her debut novel, BLOODGIFTED with a book launch at Ruby’s Cafe and Books in Umina, on the Central Coast, N.S.W. on November 10th, from 12.30-3.00pm. Beverly Eikli – Write Romance and Sell it! 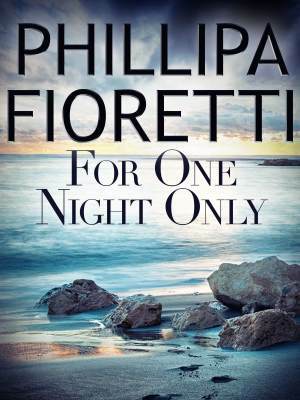 Do you want to write a romance novel? Do you have a manuscript or two gathering dust? Multi-published and award-winning romance author Beverley Eikli will help you develop that kernel of an idea that sells a romance. Learn practical devices to improve plot, pacing and presentation, as well as how to pitch to traditional publishers, e-publishers, independents and small press. Beverley will also discuss self-publishing, changing markets and what editors are looking for. Cost: 4 sessions Full Fee: $320.00 | Concession: $310.00 Find out more on their website. (No Need to book – everyone is welcome). RWA is running a NaNoWriMo sister-event in the month of November. NaNoWriMo is a free international writing event, where participants commit to writing 50,000 words in 30 days. Membership of Romance Writers of Australia (Inc.) is not necessary to participate in NaNoWriMo. However, RWA membership is necessary to participate in the RWA-coordinated sister-event that will occur in the RWA forum. Throughout November RWA participating members will ‘meet’ in the forum, post our word counts (they will be charted against daily targets), commiserate with each other over low (or zero) word count days, and celebrate our successes. With your forum-mates to cheer you on, to share the experience with you, and to work hard alongside you, your chance of success is much higher. If you would also like to participate in the official NaNoWriMo visit www.nanowrimo.org and sign up for a free account (by all means, add me–Sarah_Brabazon–as a buddy there). Individual accommodation for up to 15 (dorm/bunk style won’t work). Ensuites would be great but not mandatory. If you have good news or a New Release, for the November issue of Hearts Talk, could you please send them to htgoodnews@romanceaustralia.com before 8th. If you are sending a new release, please include – RWA Member number, TITLE, AUTHOR NAME, PUBLISHER and a cover image. If you also let Catherine know if it’s an e-book, or print. Come Cruisin’ with our two chauffeurs, Enrico and Clint, and visit your fellow RWA Members. Email Juanita Kees at cruisin@romanceaustralia.com. Share your ‘Happy Dance’ moments and we’ll help you celebrate: a new release or re-release, new contract, new agent, competition wins etc. This is your opportunity to have the spotlight on your blog. Share the dates, sites and subject matter of your blog here and drive traffic to your blog spot. If you’ve visited a blog that you think might be of interest to our members, send me the link and the title. Every week we spotlight 6 member blogs. Ask to list your blog under Members Blogs and your site will be promoted on a rotational basis too. RWA is excited to launch a new contest for published novellas. 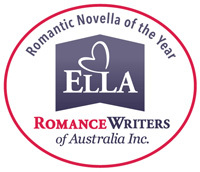 To be known as The Ella, the romantic novella of the year award will be a reader-judged contest, and the winner will be announced at RWA’s national conference in August. 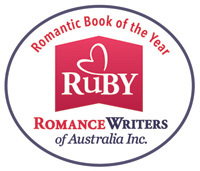 The Romantic Book of the Year Award, affectionately known as The Ruby, is our premier award and the only one of its kind in Australia. Voted on by Australian readers, this contest is open each year to any Australian or New Zealand romance author who has published a long or short romance novel.